The public prosecution department in Austria has launched an investigation into a speech made by Dutch anti-Islam campaigner Geert Wilders in Vienna, according to a report by local newspaper Kurier. Wilders made the speech in March to members of the Austrian far-right party FPÖ. In the speech, he compared the Koran to Hitler’s book Mein Kampf and said Europe is at war with Islam. The department is investigating Wilders for incitement following complaints from a local Muslim organisation, Kurier says. The IMO argues Wilders not only denigrated a religion but broke the law banning the propagation of nazi ideology. FPÖ chief Heinz-Christian Strache, who invited Wilders to make the speech, is not under investigation because there is no evidence he approved the speech in advance, Austrian press agency APA is quoted as saying. Wilders dismissed the investigation on Twitter, saying ‘you can’t get more crazy than this’. 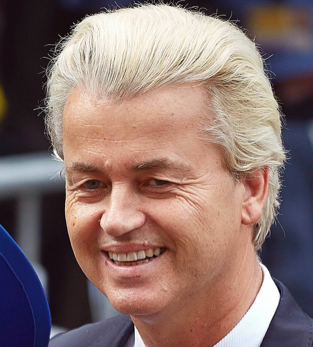 The PVV leader is facing prosecution in the Netherlands for inciting hatred and discrimination after he led supporters in an anti-Moroccan chant during the European election campaign last year.